All entrepreneurs starting out make mistakes - it's part and parcel of the entrepreneurial journey. But if you could go back in time and give your younger self some advice whilst just starting out, what would you say? 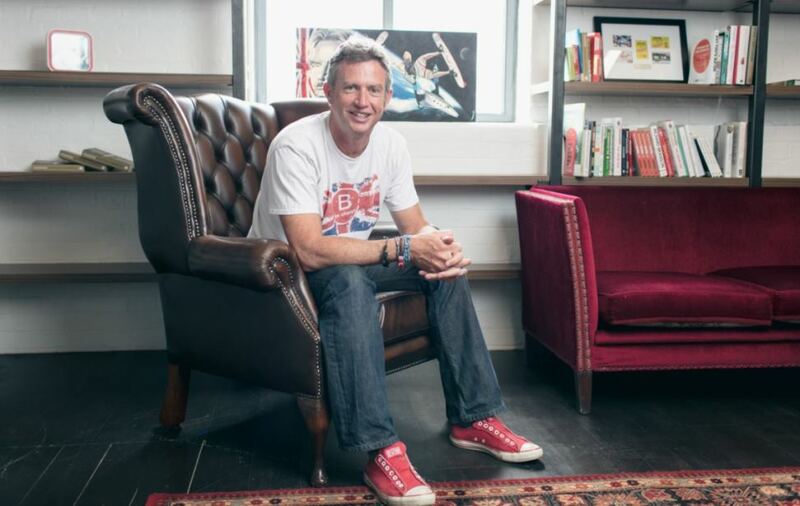 Paul Lindley is the founder of Ella's Kitchen, the UK's leading food brand and one with a social mission, as well as an author and Virgin Foodpreneur 2017 together with intu judge. Here's the advice he would give to his younger self just starting out on that exciting business journey. Twelve years ago, I was sat at my kitchen table taste testing recipes, with my children Ella and Paddy and their friends. I had just left Nickelodeon, the children’s TV network where I had been for nine years, latterly as Deputy Managing Director. I was part way through the two years I’d allowed myself to give my dream behind Ella’s Kitchen a shot. I always thought there was a gap in the market for baby food that was healthy, convenient and fun, but I never would have dreamed that those first mixtures of organic vegetables and fruits would become the UK’s biggest baby food brand so quickly. So what would I tell my younger self, that guy who is about to take his first steps as an entrepreneur? Firstly, savour the experience! Never forget why you set up the business and how you felt at the start of this journey – the excitement, passion and what drove you to launch in the first place. For me, that mission was always at the heart of building Ella’s Kitchen. Our mission was, is and will continue to be, to improve children’s lives by developing healthier relationships with food. I’d congratulate myself on having the foresight to write down my ‘why’, and constantly keep referring back to it as the business scaled. Building a business is not easy but keeping your mission at the heart of everything you do, and holding on to the excitement that got you there, will keep you on the right path, even when you’re struggling. People often say you have to put yourself in the shoes of your customer. I took that advice to heart. The most important decision I ever made was to think like a toddler. We have approached all our big decisions from a child’s point of view, such as designing products that are multisensory – genuinely appealing to every sense. Our signature packaging was designed to really connect with babies and toddlers, using colours and language that was interesting for them. In fact, our first Ella’s Kitchen product ‘The Red One’ was actually named by my son. Never underestimate the importance of understanding your consumer. If you don’t appeal to what’s important to them, they’re never going to connect in any meaningful way with your brand. You need to put yourself in their shoes – no matter what size they are! I believe thinking like a toddler holds the key to success for lots of businesses. Toddlers are far better than adults at thinking outside of the box and having the imagination, free thinking and self-confidence to pursue their ideas – and at adapting when things don’t quite work out. We could all learn a lot from their approach to life. Thinking in this way brought the creativity, confidence, ambition, honesty, determination and playfulness that has enabled Ella’s to compete with industry goliaths and completely revolutionise branding, packaging and quality in the market. My new book, Little Wins, highlights just how much we can all benefit from this approach – in both a personal and business capacity. I’d tell my younger self to read it! This brings me to my next point; I’d advice my younger self never to underestimate or undervalue the importance of the team. I’m delighted that I find myself surrounded by a team that shares this imaginative approach to business and to life. For me, mind-set has always been the most important thing to look for when hiring. If someone has the right mind-set, give them a chance and give them room to grow, use their skills, take decisions and make their own mistakes. If you can be authentic, honest, and mission-led you’ll inspire your team – and earn the respect of your customers at the same time. Fundamentally, I’d want to remind myself that before anything else, business is about people. Business is an enormously powerful force in the world, and it needs to be mindful of its social impact. I’m a staunch believer that all business should be driven by purpose. If you prioritise your customers and your team, the money will follow. It’s a complete fallacy that social and environmental responsibility comes at the expense of profit: you only have to look at the success of the global B Corps community as proof – and Ella’s is immensely proud to be counted among them. Finally, I’d tell my younger self that the best advice I’d be given in the years after launch, was to ‘keep your feet on the ground and your head in the clouds’. This means being humble and recognising that you cannot reach your full potential on your own whilst at the same time be brave enough to dream big and have the confidence to imagine, try, fail, adapt and disrupt.